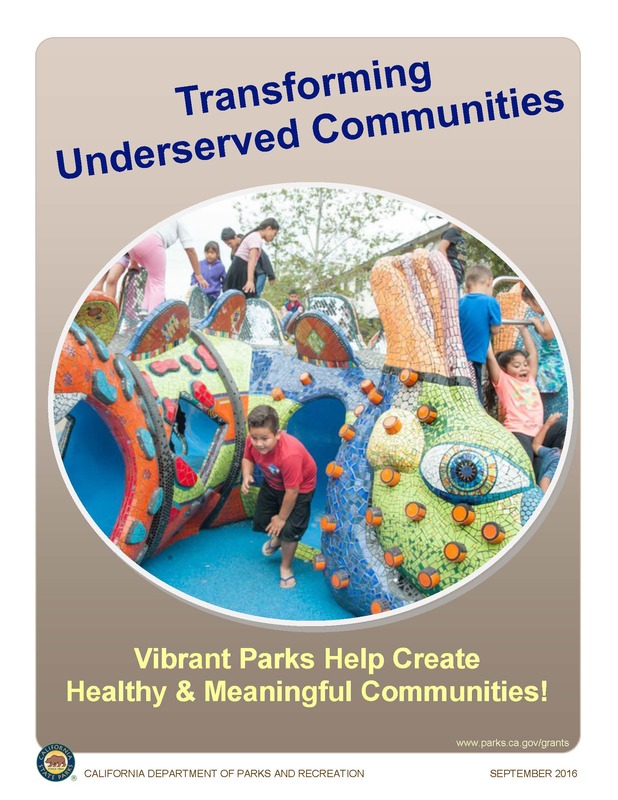 From 2010 to 2012, the $368 million Statewide Park Program awarded grants for the creation of new parks and recreation facilities in critically underserved communities throughout California. "All Funds Have Been Allocated"
900 applications requested $ 2.9 billion for the available $368 million. This clearly shows the extent of unmet community needs throughout California. Over 100 new parks will be created. Youth, seniors, and families determined what they wanted in these new parks through community-based planning. This guide is used to administer the grant award projects. It includes updated grant administration requirements and replaces the original January 14, 2010 guide. To use the AI (Adobe Illustrator Artwork) file, save the linked zip file. The Application Guide provided application requirements and instructions. OGALS advised applicants to use the Project Selection Criteria and Technical Assistance beginning on page 26 as a project location and concept planning guide. CEQA Compliance Certification Form (Required only if CEQA Compliance documents are complete at time of application). Land Tenure Form - (required only if the applicant intends to lease the project property, instead of obtaining ownership). The above link provides program development and technical assistance information.